So I’ve been having thoughts that I’m positive are unpopular. I read a book a few years ago by everybody’s favorite Calvinist (or not), John Piper. The book is provocatively titled Don’t Waste Your Life. Piper’s premise in Don’t Waste Your Life is simple – all of us were created in the image of God and bought by Jesus’ blood to bring glory to God. You’re either a Christ-follower, or God is calling you to be one. Those who accept that calling will live lives that glorify God, and those who don’t will waste their lives chasing after things that don’t ultimately matter. So here’s what I’ve been pondering: when Christ-followers inhabit the New Heaven and New Earth, what will we reminisce about? Will our thoughts be dominated by past headlines? Will we reminisce about the deeds and policies of former politicians, kings, and princes? Will we debate which technological advancements played the greatest role is shaping past society? 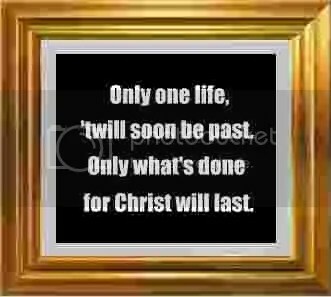 Or could it be the only things we will judge worthy of remembrance were those things done in the name of Jesus Christ? Could it be that those are the only things that will, in an ultimate sense, have a lasting impact? I like Apple products. I appreciate being able to reap the benefits of the technological revolution spawned by the inventions of a brilliant mind. I am a fan of creativity, and believe it to be a characteristic of God infused in a humanity created in His image. But will any great inventor’s inventions, in themselves, amount to a hill of beans in eternity? Will we reminisce about them in the New Heaven and New Earth? Or did the architect behind Apple Computers, despite his great impact on everyday life, waste his own? “Now back to what it means to be loved. The idea has been almost totally distorted. Love has to do with showing a dying soul the life-giving beauty of the glory of God, especially his grace. Yes … we show God’s glory in a hundred practical ways that include care about food and clothes and shelter and health. That’s what Jesus meant when he said, ‘Let your light shine before others, so that they may see your good works and give glory to your Father who is in heaven’ (Matthew 5:16). – John Piper, Don’t Waste Your Life, pgs. 33-34. Mr. Piper is on to something. Couple of items I’d like to share with you today. First, I ran across a good article from John Piper on Christianity.com today. In it, John points out four aspects of Jesus’ “bearing witness to the truth:” 1) Speaking the Truth, 2) Being the Truth, 3) Dying to Establish the Truth, and 4) Sending Us to Witness to the Truth. It’s short and worth the read – check it out. 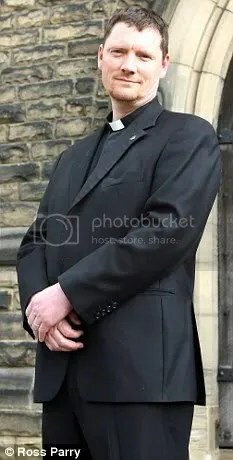 Father Jones told the congregation: ‘My advice, as a Christian priest, is to shoplift. I do not offer such advice because I t hink that stealing is a good thing, or because I think it is harmless, for it is neither. ‘I would ask them not to take any more than they need, for any longer than they need. He added that he felt society had failed the needy, and said it was far better they shoplift than turn to more degrading or violent options such as prostitution, mugging or burglary. ‘First and foremost, shoplifting is a criminal offence and to justify this course of action under any circumstances is highly irresponsible. I see the priest’s point and understand where he’s coming from, but believe this is bad advice. … but wait a minute – if they end up in jail, they’ll get three squares a day, right? Hey, maybe this priest is on to something!